More than 100 people gathered for a special event in the North Glasgow community to celebrate the work supporting the Growing and Sustaining North Glasgow’s Green Legacy project. The celebration paid tribute to the tremendous work done by individuals, groups, schools and partner organisations in tackling climate change. The project, funded by Keep Scotland Beautiful’s Climate Challenge Fund, saw a range of activities being carried out across North Glasgow, including energy workshops, swap shops, furnishings and furniture redistribution, fashion shows, comic strip workshops, and a carbon counting tool too. ng homes began working around climate change issues a number of years ago, and one of the main challenges was to raise awareness and change attitudes. The project’s success over the years has stemmed from community members seeing the importance of changing their everyday actions and habits in order to have a positive and sustainable impact. In particular, the furniture redistribution and monthly swap shop linked in with ng homes’ recycling service. With there being so much environmental waste which could be reused, the furniture redistribution service and swap shops provided an excellent platform to bring the community together to upcycle, reuse and redistribute furniture and clothes whilst reducing the amount of items going to landfill and supporting people in hardship. Fuel poverty is another area of importance in tackling energy efficiency and climate change. Poor choices or circumstances can put people into fuel poverty, however the expert support of ng homes’ energy efficiency officer has been vital in helping individuals overcome this. 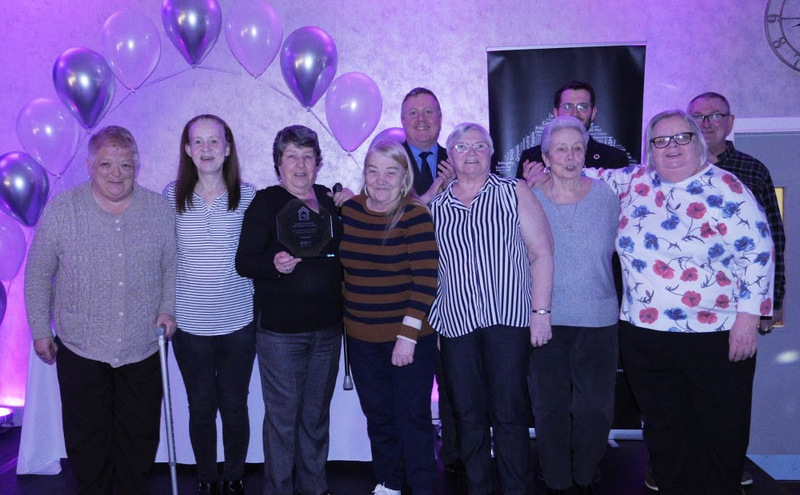 The special celebratory event was held in Springburn’s Petershill Club and was attended by community members, partners, ng homes staff and Board members, and local Elected Members. ng homes chair, John Thorburn, opened and introduced the event, and praised the outstanding work done by community members. 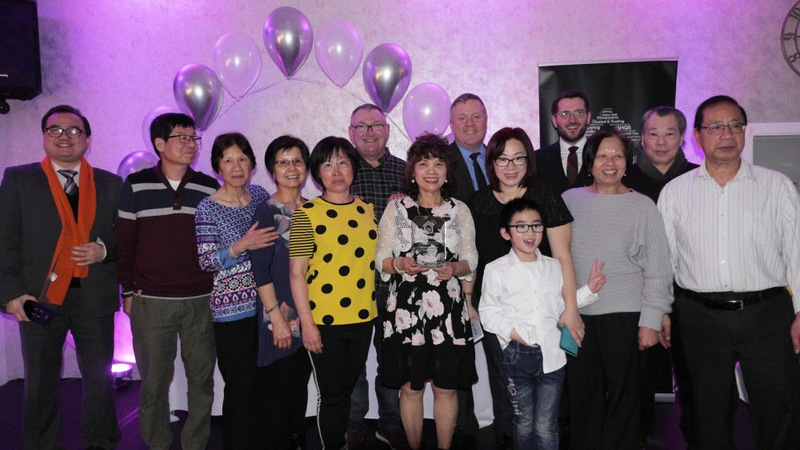 Elected members Paul Sweeney MP and Bob Doris MSP attended the event and congratulated the community on their outstanding contributions and presented awards. 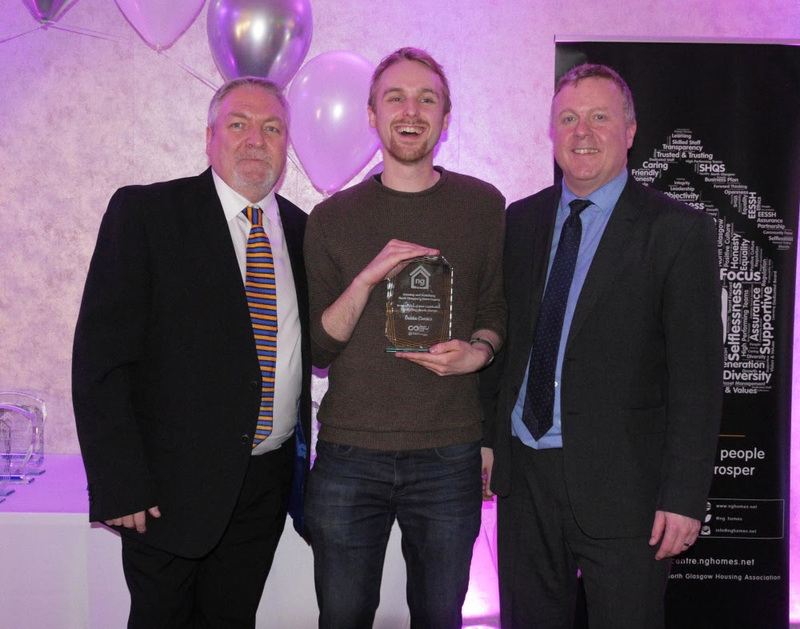 Paul Sweeney MP said: “It was a pleasure to join up with ng homes and all the amazing volunteer groups across Springburn and Possilpark for the annual Climate Challenge awards at Petershill. We only have a decade left to take action before climate change becomes irreversible, so it is encouraging that so many people in our community have already sprung into action to play their part in making the practical changes needed to our lifestyles that will preserve our planet for future generations. Bob Doris MSP said: “It was a privilege to present awards to volunteers from such a wide range of community organisations. This is a testament to the significant efforts our local communities are making to play their part to support re-use, recycling and reduce waste. Entertainment at the event was delivered by Johnny Cypher, who gave an amazing Climate Challenge Rap, followed by Divine Tasinda and dancers who performed powerful routines linking into the story of climate change. 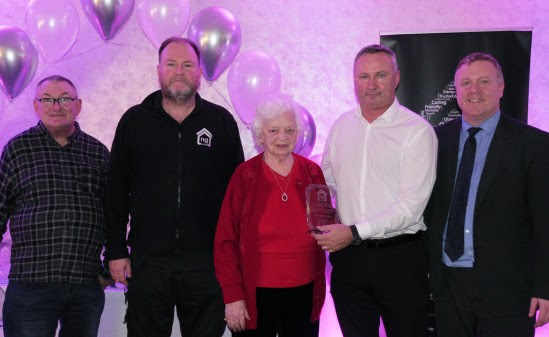 Margaret Fraser concluded the event with special thanks to the ng homes CCF project staff Dom McInally, Ronnie Black, Evelyn Milligan and Joseph Brown for their work in supporting the community.